Exceptional custom home in prestigious Fountain Hills Estates! 4 bedrooms with a large multipurpose room/office/game/guest room that is heated and cooled. Open plan with lovely large living area, dining and custom kitchen. Lots of counter and cabinet space. Wood/Gas fireplace. Sliders from the master and living area open into the amazing Arizona room with large sliders to the outside, ready for a hot tub install, with the additional patios the entertaining options are endless. 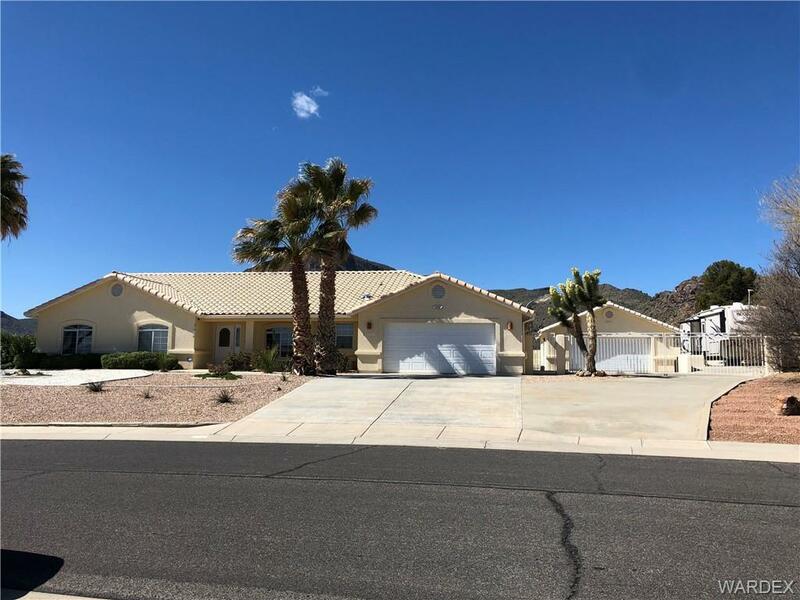 Large attached garage has a pull down ladder for attic storage, massive amount of concrete paved vehicle and RV parking as well as a boat deep detached garage, that will hold 2 vehicles. All of this is on a .81 acre lot, with a privacy block wall and stunning panoramic, mountain and city views. There is a garden/dog enclosure, 6 fruit trees and grapes. Curbs, gutters and sidewalks line the streets. Plumbed for gas cook stove and BBQ. Home has gable fans installed.